When Cuban fisherman first spotted the Key West lighthouse floating in Florida waters, they called her Stella Maris, Star of the Sea. It's a beacon that draws people from everywhere seeking the end-of-the-line bohemian oasis that can still be found amidst the condo share towers, chain stores, and Redneck Riviera clientele. And it's a mecca for gay men and the women who love them. Sue Kaufman Prize- winning author Michael Carroll knows the territory intimately. His stories wind in and out of the bars and guesthouses and lives of this singular paradise: a memorial for a drag queen held at the vicar's Victorian leads to uneasy encounters; two southern sisters on a cruise ship holiday are up against the ravages of alcohol, estrangement, and deadly weather. Newly divorced gay men (already a phenomenon) lick their wounds and bask in the island's lasting social twilight. At the all-male, clothing-optional resort, guys of all ages fall into one another's paths, enjoy themselves as they please, and surprise one another on their views and preconceptions. Stella Maris is about the verities of illness and death. The past and its prisoners, AIDS, the young and not so young man's realization of his own mortality. It's about the unpredictable nature of life, and of survival. It's about new beginnings and final recognitions. Michael Carroll's debut story collection, Little Reef, won the Sue Kaufman Prize for First Fiction from American Academy of Arts and Letters and was shortlisted for the Lambda Literary Award for Gay Fiction and the Publishing Triangle Award. 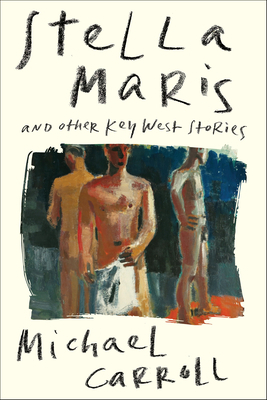 His work has appeared in Ontario Review, Boulevard, The Yale Review, Southwest Review, Open City, and The New Penguin Book of Gay Short Stories. Originally from Jacksonville, Florida, he is married to writer Edmund White and lives in New York City.